As summer temps heat up, we’re always looking for refreshing hikes to help beat the heat. 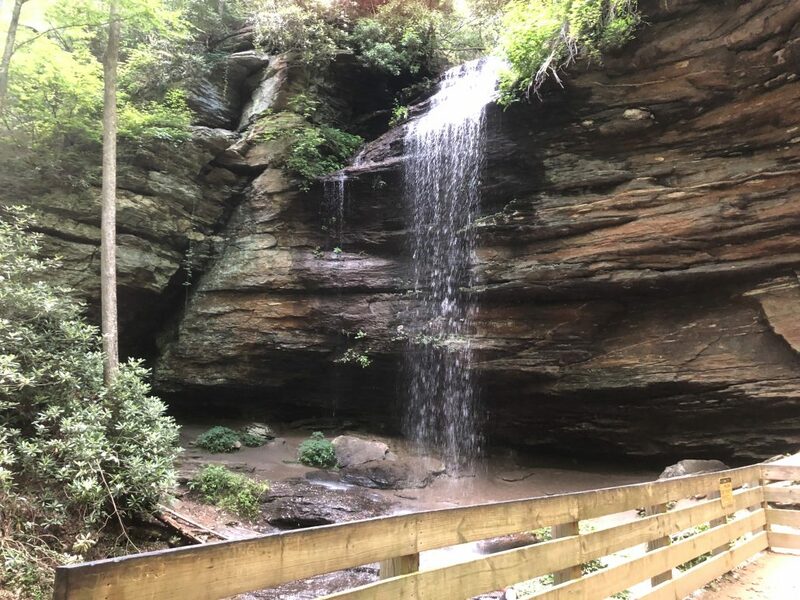 Moore Cove Falls offers beautiful scenery, solitude, and a great spot to cool off. You can even walk behind the cascading falls – how cool is that? Directions: From 276 at the entrance of Pisgah Forest, head north about 6.5 miles and pull off onto the paved parking area on the right. The trail is not marked with large signage, but there is an info board that will indicate that you’re in the right spot. The trail starts on the wooden bridge to the side of the info board.